Rutgers Center for Chinese Studies solicits contents for its blog from the communities it serves. The center’s blog is primarily used to promote the works of Rutgers faculty, advanced graduate students and visiting scholars, with a focus on the intellectual life of scholars. We are interested in why scholars get into their fields, what motivates them, what some of the most-talked about topics in their fields are, what they see where their fields are heading toward, etc. If you have an interesting item pertaining to Chinese Studies at Rutgers and would like us to post it on our blog, please feel free to contact us. If it is adopted, the post will be properly credited. 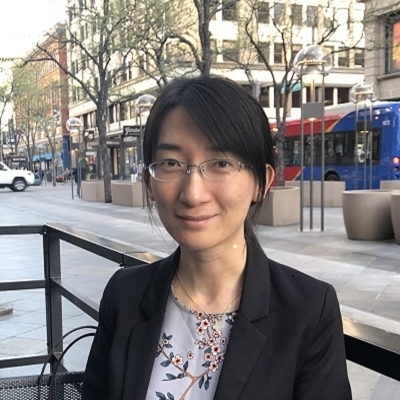 Our first blog post for 2018-2019 academic year is by Professor Lei Lei who recently came to Rutgers as an assistant professor in the Department of Sociology. In her post, Professor Lei answers questions about her intellectual background, the state of affairs in her fields and her current research (posted August 30, 2018). Can you tell us your intellectual background? I started working as an Assistant Professor in Sociology at Rutgers in fall 2018. I received a Ph.D. degree in sociology from SUNY-Albany in 2016. In graduate school, I specialized in demography, urban sociology, and family. Much of my work focuses on family behaviors in different societies, the relationship between neighborhood and health, and labor migration and the impact on family members. While pursuing my Ph.D. degree in sociology, I obtained a master’s degree in Biostatistics. The advanced statistical techniques that I learned in the Biostatics courses become useful tools for me to explore sociological issues. While studying at Zhejiang University in China, I was attracted to sociology after taking the Introduction to Sociology as a freshman in college. I enjoyed reading classical social theories, especially the works of Max Weber. Reading his explanations of the rise of capitalism and modernity opened up a new world for me. This made me to choose sociology as my major. Later, I became interested in labor relations and studied the labor rights of migrant workers and unions in China for my undergraduate thesis. After graduating from Zhejiang University, I went to the Netherlands to pursue a master’s degree in Human Resource Studies. Although I enjoyed learning HR management, corporate culture, and business strategies, I was more fascinated by the fundamental organization theories developed by social scientists, rather than how to apply these theories to increase the profit of companies. Then, I decided to return to the field of sociology and pursue an academic career. One of my current research projects examines the impact of male out-migration on the health of wives and children left behind in India. The labor migration in India is dominated by males and sending a migrant is a common strategy adopted by families to diversify income sources. Sending a migrant is believed to improve the economic condition of the families, but the social and psychological consequences for family members are unclear. In my research, I use nation-wide survey data to explore how the absence of males influence the health of left-behind wives and children and whether the impact varies by the level of remittances, the duration of migration, and the frequency of home visit. For children's outcomes, I would also like to examine how the potential adverse effects of the father’s absence can be compensated by the support from grandparents and the resources in the community. Another line of my research focuses on the influence of residential communities on individual health and well-being in China. My previous papers have examined how neighborhood socioeconomic status affects children's health and academic achievement in both urban and rural China. Currently, I am investigating how living in different types of neighborhoods in China leads to different health consequences for adults in urban China. This study examines various kinds of urban neighborhoods in China, including traditional communities in old districts, work-unit compounds, commercial-housing communities, and migrant enclaves, which were formed in dramatically different ways during different historical periods. I am particularly curious about whether the newly-developed commercial-housing communities provide a healthier residential environment than the traditional forms of neighborhoods. What is the status of sociological research on the Chinese society? What do you see as the major trends in your field? Sociological research in mainland China has been thriving in the past two decades. There has emerged a wealth of literature on families, education, population (fertility, mortality, health, and migration), aging, work and occupation, and social stratification in China. Many large-scale social surveys have been carried out since the early 2000s, and several national-scale longitudinal surveys have been launched sometime around the year of 2010, aiming to collect rich data about individuals, families, and communities, in many aspects of social life. These data allow researchers to understand contemporary China better and to trace the changes in the characteristics of these social entities. These data collection efforts create lots of opportunities for social scientists and researchers who are interested in China. Along with the increasing availability of data, researchers in my area also become more capable of utilizing innovative quantitative skills to analyze data and to answer various research questions. The topics that Chinese sociological researchers are concerned with become broader and also evolve as new social problems arise. For example, scholars of social stratification in China have a long tradition in studying the causes and consequences of inequalities in education, employment, income, and housing. However, although the space in Chinese cities become more diverse and unequal, not much attention has been paid to “spatial inequality.” Nowadays, researchers, including myself, start to consider how severe the spatial stratification or segregation is in China and how the place of residence matters for people’s socioeconomic attainment and well-being. Our first blog post is by Professor Xian HUANG who is an assistant professor in the Political Science Department. 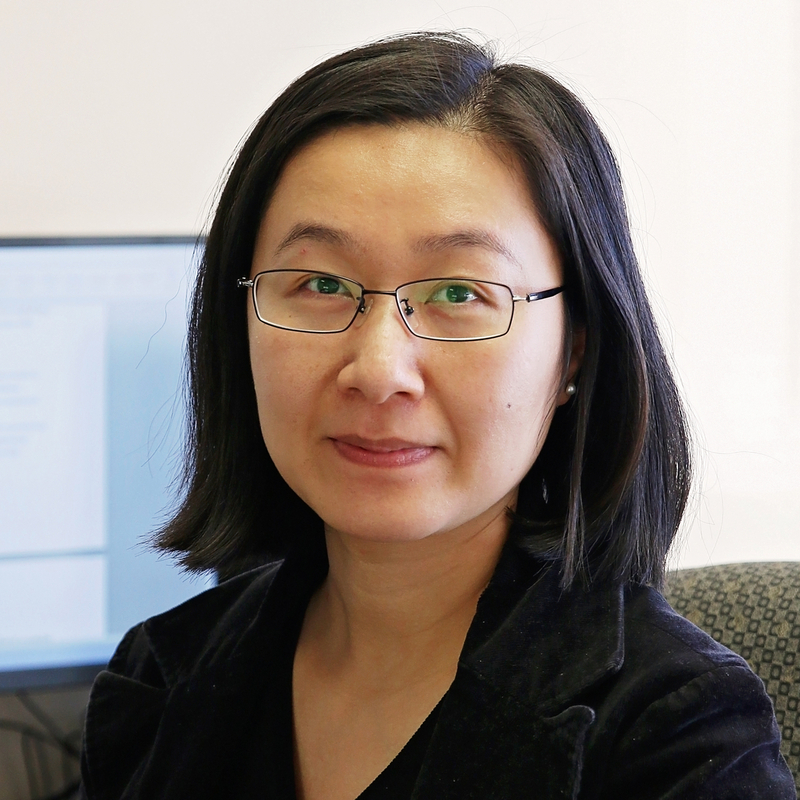 In her post, Professor Huang answers a series of questions about her background and current research (posted on Jan. 17, 2018). How long have you been at Rutgers? What is your intellectual background? I came to Rutgers in the fall of 2016. I studied political science in college and when I finished undergraduate and masters studies at Peking University in 2008 I decided to pursue a career in academia. I was very lucky to get a fellowship to start a doctoral study in political science at Columbia University. Since the beginning of my study at Columbia, I have been very interested in political economy and Chinese politics. They have become the main perspectives through which I approach political science and other broad issues. In high school, I found and developed interest in social science books, especially politics, world history, international and public affairs. I guess it must have had something to do with my father who also studied social science. At home, we have some collection of books in those fields and I am grateful that my parents gave me the freedom to read books that I liked and some money to buy them. So I read many books in my family’s collection and even increased the book collection quite a bit. Still I had no idea what political science was until I studied it in college. So why did I choose to major in political science in college? As a high-school student, I couldn’t tell the difference among social science fields such as economics, law, and political science (in China during the early 2000s, political science was often lumped together with public administration in categorization and called “politics and public administration”). But my parents hoped that I would become a civil servant after college – a stable and respectable career in China – so they suggested that I choose “politics and public administration” over other social science fields as it sounded more relevant for a civil servant career. That’s how I got into the field. During college, I found myself not interested in the civil servant career at all; still, I am grateful that I chose political science as my major because I was really interested in the field itself and enjoyed doing research. What motivates you in your research and teaching? I was born and raised in China. As a large and complex country, China fascinates me and I always want to understand it better. After I came to the United States, I feel the contrasts and differences between the two countries are even more striking. As a scholar, I want to contribute to the theories and literature of political science by studying the China case and including China in the ongoing debates and inquiries of political science; as a Chinese in the US, I want to help Americans understand China better. These motivate my research. As for motivation in teaching, my personal experiences told me how important a good teacher means to students. I was very lucky and grateful to have several wonderful teachers and mentors when I was a student; they not only gave me knowledge but, more importantly, they inspired me in many ways. With the help of a great teacher, students can find their true interest and pursue them with passion and vigor. These motivate me as a teacher – I try to be a knowledgeable, inspiring and helpful teacher to my students as those great teachers were to me. I am working on two research projects now. First is a book manuscript on Chinese social welfare. Who gets what, when and how from China’s authoritarian welfare state? This is the core question that motivates this book. In the book, I employ quantitative analysis along with extensive fieldwork and qualitative research to understand the nuances of social welfare policy and to explain the political rationale for the policy design, implementation, and distributional pattern of social health insurance under Chinese authoritarianism in contemporary periods. Second is a research project about the politics and policies of social health insurance integration in China. Integration of social health insurance, that is, merging various social health insurance programs across social strata and geographic regions, is an emerging trend in recent Chinese social development. It provides a rare opportunity to pool risks and redistribute income among social groups and subnational regions. As such, it can be considered a political issue or process with important distributional implications and outcomes. In this project, I address specific questions like what shapes local leaders’ decisions on the scope and level of social health insurance integration within their jurisdictions; how social health insurance integration affects Chinese citizens’ economic behaviors (e.g., medical spending, utilization of medical services) and political behaviors (e.g., corruption/bribery, resolving medical disputes). What are some of the hottest topics in your field? What do you see as the major trends in your field? Studies of Chinese politics has become a diverse and fruitful field in the last decade. Scholars are eager to explore and explain the durability, institutions, political strategies and policies of the Chinese authoritarian regime. This field has also become more open and integrated to the conventional political science subfields such as comparative politics, political economy, and international politics. Similar to many other social science researches, the research on Chinese politics is moving in the direction of being data-intensive, interdisciplinary and collaborative.